Hi! 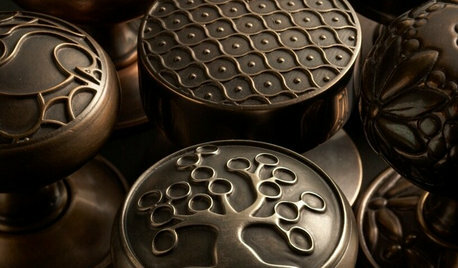 This looks like our Top Mount Reflex hardware. Do you mind if we use this image in our marketing efforts? We'd be more than happy to give you credit for the image. Thanks! No problem. Email sabrina@ezralee.com if you need anything else. 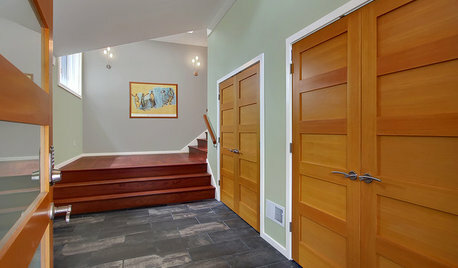 What was the finish on this door? Is it a grey with distressing? 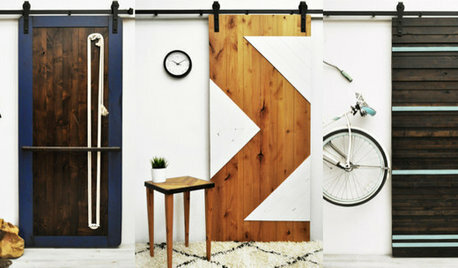 This door looks rustic but appeals in modern and contemporary spaces too. 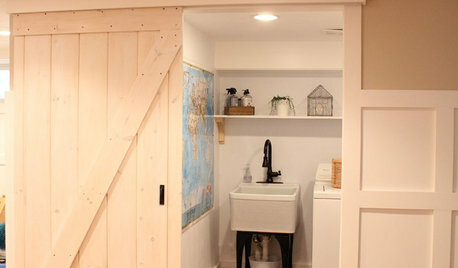 Need door to use with barn door hardware for closet. 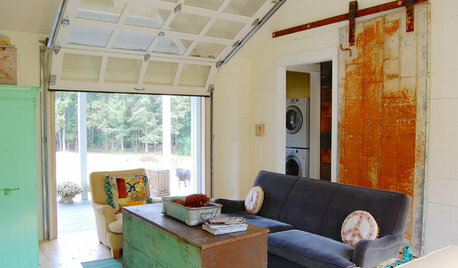 Where do you get sliding barn doors (hardware, doors)? 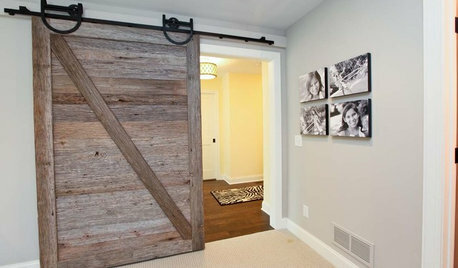 Barn door hardware...how important to have a "soft stop"? 32319 Hardback Empire Shaped Spider Lamp Shade, Off White, 12"x14"x10"